Almost every media file contains info about it’s contents. Adobe’s XMP (Extensible Metadata Platform) is, as they say, “a labeling technology that allows you to embed data about a file, known as Metadata, into the file itself”. This was text part for first post about reading and writing XMP data. Metadata is powerful and you can store all kind of data. 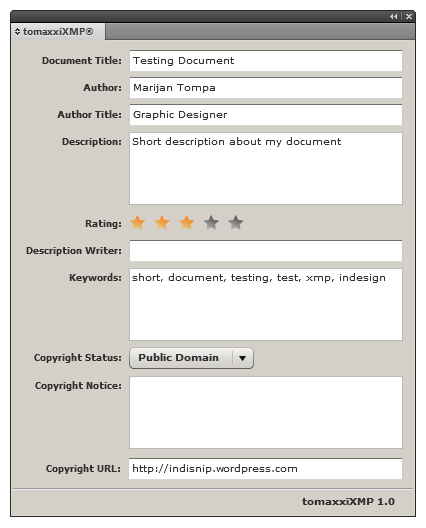 Some most common used fields are: Document title, Author, Author Title, Description and Keywords.